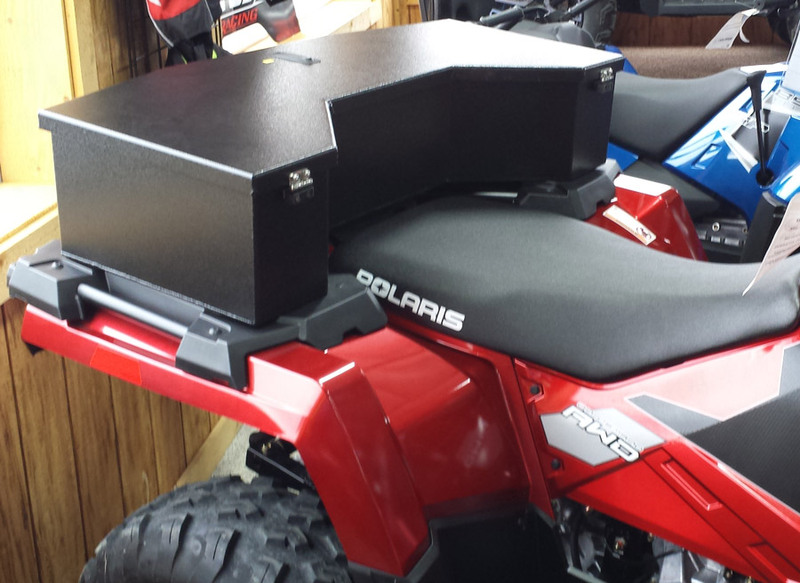 This is the largest version of our rear cargo boxes. The deeper storage allows for those larger items such as chain saws, small coolers, camping gear and more. Made from marine grade aluminum and power coated for added protection from the elements. Great addition to your ATV.